The FBI’s affidavit presented in support of a January 22, 2019 criminal complaint provides a rare glimpse into Apple’s effort to maintain trade secrets in its secretive Project Titan self-driving car operation. This glimpse was rare because any detailed effort to protect intellectual property in the form of a trade secret is often kept quiet to avoid providing any aid to a would-be thief. Widely reported in recent days is the announcement of a second employee in six months to be accused by the FBI of stealing trade secrets from Apple’s self-driving car unit, known as “Project Titan.” Now, the feds have unsealed the January 22, 2019 criminal complaint against Jizhong Chen, a PhD-trained employee of Apple on the Project Titan team as a hardware developer. As alleged, Apple discovered the existence of over 2,000 photographs on Chen’s personally-owned computer, and subsequently learned Chen applied for two external jobs, including one at a China-based autonomous vehicle company — a purported direct competitor. Chen advised Apple he planned on leaving the country for China on January 22, 2019. The criminal complaint was filed the following day in the Northern District of California. Apple was alerted to Chen after fellow employees spotted him taking photographs of the workspace where the project takes place. The FBI says Chen told Apple’s global security team that he backed up his work computer to a personal hard drive and computer as an insurance policy after being placed on a performance improvement plan by Apple. Apple’s security team found Chen had “over two thousand files containing confidential and proprietary Apple material, including manuals, schematics, and diagrams,” according to the charging document. Similar to many jurisdictions that follow the Uniform Trade Secret Act (“UTSA”), California has specific requirements to protect against misappropriation of trade secrets. To qualify as a trade secret under section 3426.1 of California’s Civil Code, the owner of the trade secret must establish two elements: First, the trade secret must derive actual or potential independent economic value from not being generally known to the public or to other persons who can obtain economic value from the use or disclosure of the claimed secret. Second, the entity claiming trade secret must establish that it undertook “reasonable efforts under the circumstances” to maintain the secrecy of the trade secret. So How Does Apple Restrict Access? Excerpted below with highlighting supplied are paragraphs from the eight-page complaint, which can be found here. Three software controls are evident to protect data. First, each user requires a password to access a database. Second, database access is restricted to a subset of project employees—likely on a need-to-know basis. Third, all access to information is logged and therefore capable of audit. An administrator must approve access. None of this is surprising. It has long been true that information stored on computer must require some reasonable form of restricted access. Morlife, Inc. v. Perry, 56 Cal.App.4th 1514, 1523 (1997). Trade-secret protection programs need not be as extensive as this to qualify under the statute. The standard is reasonable, which changes depending on the circumstances. Physical access is restricted by limiting access to “core” employees with badge access while keeping the whereabouts secret. Such efforts are costly and likely warranted on “Project Titan,” but may be cost-prohibitive elsewhere. Again, efforts required to maintain secrecy are those that are “reasonable under the circumstances.” Moreover, “[t]he courts do not require that extreme and unduly expensive procedures be taken to protect trade secrets against flagrant industrial espionage. It follows that reasonable use of a trade secret including controlled disclosure to employees and licensees is consistent with the requirement of relative secrecy.” UTSA, Comment to § 1 (citation omitted); Senate Comment (1984) to California Civil Code § 3426.1. While essential to put an employee or contractor on notice of the claim of a protected trade secrets with some specificity, a company would be unwise to rely on confidentiality agreements alone as a sufficient secrecy program. Courts have held that “[r]equiring employees to sign confidentiality agreements is a reasonable step to insure secrecy.” Whyte v. Schlage Lock Co. 101 Cal.App.4th 1443, 1454 (2002); MAI Systems Corp. v. Peak Computer, Inc., 991 F.2d 511, 521 (9th Cir. 1993) (applying California version of UTSA). Training is often the weak link in an IP protection program due to cost or overreliance on employee agreements. Training is also a problem at the management level, which may not have a firm grip just what exactly compromises the trade secrets. On Project Titan we learn the most interesting tips of all: 1) training includes the importance of keeping details secret and avoiding intended and inadvertent leaks; 2) methods of ensuring protection of trade secrets, as well as device-specific policies; and 3) transmitting documents using secure mechanisms. In sum, an employee who has access to company trade secrets must know what is considered a trade secret. the contours of permissible use and the consequences of misuse—which can only be understood through an active effort to train. While no case in California has held that the failure to implement a training protocol for employees is unreasonable, that case may not be far off. About the author: Lou Dorny is a partner in Gordon Rees Scully Mansukhani’s Intellectual Property and Commercial Litigation Practice Groups. His practice focuses on intellectual property and high-technology matters, with a particular emphasis on trade secrets. Mr. Dorny’s biography can be found here. Petitioner Helsinn Healthcare S.A. (“Helsinn”) is a Swiss pharmaceutical company that makes a drug for chemotherapy-induced nausea.2 In September 2000, Helsinn partnered with MGI Pharma, Inc. (“MGI”) to market and distribute the drug in the United States. Their license agreements included specific dosage information and required MGI to keep all Helsinn’s proprietary information confidential, but the fact of the license itself was announced in a joint press release. In 2003, Helsinn filed a provisional application covering specific doses of its nausea drug.3 In May 2013, Helsinn filed the fourth of four applications that claimed priority to that 2003 date, ultimately issuing as U.S. Patent No. 8,598,219 (“the ‘219 Patent”). Respondents Teva Pharmaceutical Industries, Ltd. and Teva Pharmaceuticals USA, Inc. (“Teva”) are generic drug manufacturers which sought FDA approval to market a generic version of Helsinn’s drug with the same dosage as that claimed in Helsinn’s ‘219 Patent. Helsinn sued Teva for infringement, but Teva claimedthe ‘219 Patent was invalid because the claimed dosage was “on sale” more than one year before the 2003 provisional application to which the ‘219 patent claimed priority. The district court determined the “on sale” bar did not apply because, under its interpretation of the AIA, an invention is not “on sale” unless the challenged sale made the invention available to the public.4 The district court reasoned that, because the substance of the Helsinn-MGI license agreement had not disclosed the specific dosage, the sale did not make the invention public. The Federal Circuit reversed, however, because “the details of the invention need not be publicly disclosed” for a sale to fall within the AIA’s “on sale” bar.5 Instead, it only mattered whether “the existence of the sale is public[. ]” According to the appellate court, here, the fact of the Helsinn-MGI agreement had been publicly announced in a joint press release. While the new language of the AIA may have instilled some uncertainty about the new scope of the on sale bar, this decision answers those questions by clarifying that the on sale bar applies even to sales of an invention to a third party regardless of whether the sale results in the patented information being publicly known. Small companies who may look to license their inventions for testing or (like Helsinn) financial reasons during the development stages are on notice that they must be vigilant in filing their patent applications early. Specifically, in-house counsel should be constantly interfacing between the product development team and product commercialization team to understand the development timeline and what actions are being taken with respect to that product vis à vis any related patent applications. About the author: Patrick J. Mulkern is an associate in Gordon Rees Scully Mansukhani’s Intellectual Property Practice Group. His practice focuses on intellectual property litigation and transactional matters, with a particular emphasis on patent, trademark, and trade secret litigation. Mr. Mulkern is a registered patent attorney and his biography can be found here. 1 See Helsinn Healthcare S.A. v. Teva Pharms. USA, Inc., Case No. 17-1229, 586 U.S. ___ (Jan. 22, 2019). 2 Id., Slip Op. at 2. 3 Id., Slip Op. at 3. 4 Id., Slip Op. at 4 (citing Helsinn Healthcare S.A. v. Dr. Reddy’s Labs. Ltd., 2016 WL 832089, at *45, *51 (D.N.J. Mar. 3, 2016)). 5 Id. (citing Helsinn Healthcare S.A. v. Teva Pharms. USA, Inc., 855 F.3d 1356, 1360 (Fed. Cir. 2017)). 6 Id., Slip Op. at 5-6 (quoting 35 U.S.C. § 102(b) (2006 ed.)). 7 Id., Slip Op. at 6 (quoting 35 U.S.C. § 102(a)(1) (2012 ed.)). 8 See Pfaff v. Wells Elecs., Inc., 525 U.S. 55, 67 (1998). 9 See, e.g., Elizabeth v. Pavement Co., 97 U.S. 126, 136 (1878) (“It is not a public knowledge of his invention that precludes the inventor from obtaining a patent for it, but a public use or sale of it.”). 10 See, e.g., Special Devices, Inc. v. OEA, Inc., 270 F.3d 1353, 1357 (Fed. Cir. 2001). 11 Helsinn, 586 U.S. at ___, Slip. Op. at 7. 12 Id., Slip Op. at 7-8 (quotations and citations omitted). 13 Id., Slip Op. at 8 (emphasis added). 14 Id., Slip Op. at 9. 15 See Manual of Patent Examining Procedure, § 2152.02(d) (9th Ed., 2018). It is quite common for parties to enter into agreements to develop software. Often times, one party has a general understanding of how they would like the software to function on either the back or front end, and/or how they would like the graphical user interface to be displayed to a user. More often than not, the second party to this kind of an agreement is a software programmer. The software programmer is generally able to understand the requirements and otherwise code such that the software performs the functions that are required when it is executed. One of the bigger issues that springs out of these kinds of arrangements is authorship. This area is constantly evolving and is more or less a factual question generally reserved for the jury. Authorship becomes an issue when the agreement is silent on the same and the respective programming knowledge base between the parties overlaps, leading to confusion as to who contributed to the resulting source code. That statutory language and the Supreme Court’s guidance produce a definition of an author as the party who actually creates the work—that is, the person who translates an idea into an expression that is embodied in a copy by himself or herself, or who authorizes another to embody the expression in a copy. The definition, however, has limits. When one authorizes embodiment, that process must be rote or mechanical transcription that does not require intellectual modification or highly technical enhancement such as what occurred in M.G.B. Homes, Inc. v. Ameron Homes, Inc., 903 F.2d 1486 (11th Cir. 1990) (architectural drawings), Geshwind v. Garrick, 734 F.Supp. 644 (S.D.N.Y. 1990) (computer animated film), and Whelan Associates, Inc. v. Jaslow Dental Laboratory, Inc., 609 F.Supp. 1307 (E.D. Pa. 1985) (computer program), aff’d, 797 F.2d 1222 (3d Cir.1986), cert. denied, 479 U.S. 1031, 107 S.Ct. 877, 93 L.Ed.2d 831 (1987). There is a “fundamental distinction” between an “original work” of authorship and “the multitude of material objects in which it can be embodied.” H.R.Rep. No. 1476, 94th Cong., 2d Sess. 53, reprinted in 1976 U.S. Code Cong. & Admin. News 5659, 5666. As the House Report for the Copyright Act’s precursor bill explained: “Thus, in the sense of the bill, a ‘book’ is not a work of authorship, but is a particular kind of ‘copy.’ Instead, the author may write a ‘literary work,’ which in turn can be embodied in a wide range of ‘copies’ and ‘phonorecords,’ including books, periodicals, computer punch cards, microfilm, tape recordings, and so forth.” In questioning the House Report, Professor Nimmer remarked that the solitary act of “setting up the recording session” is “ill-based” for claiming authorship on behalf of the record producer. 1 M. Nimmer & D. Nimmer, Nimmer on Copyright § 2.10[A][b] at 2-146 (1990). Indeed, “this is no more an act of ‘authorship’ than is the act of one who makes available to a writer a room, a stenographer, a typewriter, and paper.” Id. In S.O.S., Inc. v. Payday, Inc., 886 F.2d 1081 (9th Cir. 1989), a Payday employee (Goodman) asserted that she was a joint author. In that particular case, the Court stated that Payday has not presented evidence sufficient to raise a genuine issue of material fact regarding joint authorship. Payday alleges only that Goodman told the programmers what tasks the software was to perform and how it was to sort data. She did none of the coding and does not understand any computer language. In sum, on the one hand, the case law supports the programmer as the author in the situation where the programmer fixes the code into a tangible medium of expression with just a general guidance on how the software is to function from the other party, essentially giving the programmer a large amount of discretion on the expression. On the other hand, as the other party to the agreement contributes more specifically to the project, and even the code itself, along with the programmer, joint authorship emerges as the idea becomes fixed in the source code, therefore reducing the amount of originality provided by the programmer and attributing it to the other party. There is no guarantee of joint authorship for the programmer just because that person wrote the program. If that programmer acts as, essentially, a scrivener, then there may be no authorship at all. About the author: Reid Dammann is a partner in Gordon Rees Scully Mansukhani’s Intellectual Property Practice Group. His practice focuses on litigation matters involving copyright, trademarks, trade secrets, and patents, with a particular emphasis on software. Mr. Dammann is a registered patent attorney with an advanced dual degree in Computer Science and Electrical Engineering. Mr. Dammann’s biography can be found here. Whether you are traveling home for the holidays or visiting an old friend, the holiday season is a time to return to old favorites. For craft beer fans visiting home and looking for a place to gather, they will notice the brewery landscape has changed over the last few years. Whether you are visiting a large city or a small town, the number of new breweries may surprise you. In fact, the number of breweries in the United States has more than tripled recently, increasing from less than 2,000 in 2010 to more than 7,000 in 2018.1 On November 20, 2018, the Brewers Association’s Bart Watson tweeted “Here are the ~1,000 breweries that have opened since last Thanksgiving,”2 with a link to a google map showing new breweries that opened between November 25, 2017, and November 17, 2018.3 In addition, numerous breweries have recently shut down, been acquired, or changed names based on trademark disputes. Searches for “Brewery Near Me” will be trending on Google and other search engines. For example, when you type “Brewery” into Google.com or Bing.com, both search engines will propose the search “Brewery Near Me.” Alternative results include “Brewery Near My Location,” or nearby city names, such as “Brewery San Francisco” and “Brewery Oakland.” With consumers searching on maps, in search engines, and in beer-focused applications such as Untappd and RateBeer, breweries need to stand out when their name shows up on the list. From a trademark and branding perspective, you want consumers to recognize your name – and recognize it as a source of great beer. You want your name to communicate the quality of your product and differentiate your brewery from the others in your neighborhood. In other words, you want consumers to know what they can expect when they choose to visit your brewery or drink your beer. Are you known for your rotating selection, your hazy IPAs, your flagship lager, your barrel aged stouts, your sours, or your Belgians? Or maybe you’re known for your food, your staff, or other non-beer-related aspects of running a restaurant or brew pub. When the message is “drink local,” and thousands of smaller breweries are opening up to serve their local communities, it can be beneficial to tell your consumers where you are located. For many breweries, their location is not simply an address in a city or a town. It is also their brand. In a discussion with Robert Cartwright of DataQuencher, which performs surveys of beer drinkers for breweries, his surveys have shown that location names can help certain breweries increase their brand awareness. The data shows that, for breweries up to about the 20,000 barrels mark, the breweries that have a location in their name have significantly higher brand awareness than other breweries. In other words, microbreweries may benefit from their location-based names, but regional brewers may not see much additional impact. For example, in Virginia, Blue Mountain Brewery, located in the heart of the Blue Ridge Mountains has a higher than anticipated awareness from beer drinkers in the State of Virginia. Given their production numbers (less than 15,000 barrels in 2017) and the size of the Virginia market, it would be normal for Blue Mountain to have a brand awareness in the high 20% to 35% range. Instead, DataQuencher’s recent survey results show that Blue Mountain Brewery has a brand awareness of 49% among VA beer drinkers. This location-based name may also help in each of the states through which the Blue Ridge Mountains extend—namely, Georgia, South Carolina, North Carolina, Tennessee, Virginia, Maryland, and Pennsylvania. 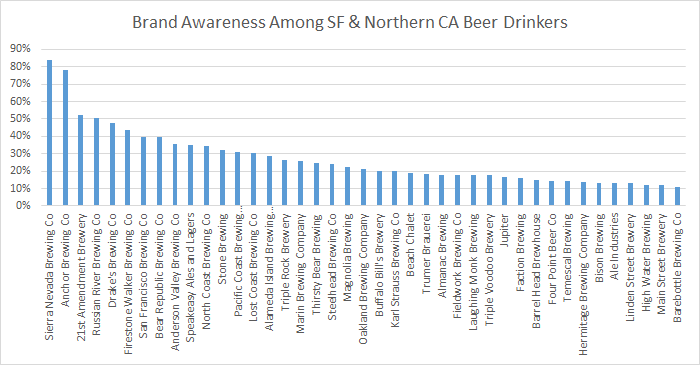 With respect to the San Francisco Bay Area, certain microbreweries rank higher than anticipated in “brand awareness” based on their location-based names, including San Francisco Brewing Co., Alameda Island Brewing Company, Marin Brewing Company, and Oakland Brewing Company. See the recent chart below prepared by DataQuencher. It is not surprising to see some larger breweries with location-based names, such as Sierra Nevada and Russian River, at the top of the list. Chart reproduced and used with permission. DataQuencher’s recent survey evidence, which shows higher brand-awareness for breweries with location-based names, is consistent with the breweries who have earned their brand awareness through decades of sales and advertising, as well as distribution through large retail chains and to multiple states. Not surprisingly, many of the largest breweries in the United States have location-based names.4 In fact, about a third (17 of 50) of the Brewers Association’s list of the 50 top selling breweries in the United States in 2017 have location-based names. The chart below includes a list of those breweries with an explanation of their location-based name for those unfamiliar with the local references. The cites to Wikipedia are because the USPTO will often cite to Wikipedia (or Urban Dictionary!) and other websites as a basis for refusing to register geographically descriptive trademarks. In addition to the chart above, two more breweries in the top 50, DogFish Head (#12) and Allagash (#36), are named after small towns in the State of Maine,28 which – while nowhere close to their brewery locations29 30 – both help tell a story about the brewers’ roots and the breweries’ small beginnings. How Does a Brewery Obtain a Trademark for its City, Town, Mountains, River, Lake, or Street? First, a little background about trademarks. Your trademark is your name, logo, or anything else that indicates your brewery is the source of a product or service. even the unique overall “look and feel” of the brewery, product, or packaging (or other forms of “trade dress”). You obtain common law trademark rights when you begin to use the mark. If someone else used it first, you are a junior user and they are the senior user. To obtain nationwide rights to your trademark, you can file an application to register your trademark with the United States Patent and Trademark Office (the “USPTO”). One myth is that you don’t want to name your brewery after a location because it’s hard to get a trademark. While it is true that location-based names have inherent hurdles, including from a trademark perspective, there are also potential benefits from a trademark and branding perspective. Those hurdles include difficulty in proving that your name is an indication that your brewery is the source of the beer. In trademark language, we call that “acquired distinctiveness,” or “secondary meaning.” It may take years for your brewery to build distinctiveness in the eyes of consumers, while a more unique and arbitrary name may obtain a registered trademark much faster. Because locations are descriptive, the USPTO often refuses to register marks with a location is in the name. On one hand, the USPTO may refuse to register the mark because you are describing where you are located. In that case, the name is “geographically descriptive” and other breweries located there should be able to use that name to describe their brewery. One the other hand, if your name is a location where you are not located, the USPTO may refuse to register your mark on the basis that it is “geographically deceptively misdescriptive.” This means your name makes people believe you are from a location from which your beer does not originate, and that description is misleading and deceptive. Relatedly, if you advertise your products as coming from a geographic location – but your beer is not from there – those false statements could give rise to a class action lawsuit for false advertising. Numerous lawsuits have been filed over the past several years. For example, class action lawsuits have been filed against Fosters (not imported from Australia),31 Becks (not imported from Germany),32 Kirin (not imported from Japan),33 and Red Stripe (not imported from Jamaica).34 While the breweries named as defendants in those class action lawsuits were some of the largest alcohol producers in the world – Miller Brewing Co. (Fosters), Anheuser-Busch (Becks, Kirin), and Diageo (Red Stripe) – plaintiffs could file similar lawsuits against craft beverage producers as well. So it is wise to clearly label where your brewery (or winery, meadery, or distillery) is located. To avoid such misrepresentations in labeling and advertising, you will notice the labels for some breweries list more than one location. For example, Lagunitas clearly advertises that it is brewed in Petaluma, California and Chicago, Illinois. Likewise, Sierra Nevada’s labels clearly advertise that it is brewed in Chico, California and Mills River, North Carolina. While there are many considerations when it comes to branding and trademarks, these are several of the considerations with respect to location-based names. As is the case with all intellectual property, it is prudent to talk to an attorney about your strategy for obtaining and enforcing your trademarks. For more information about trademarks and intellectual property, you can reach Michael Kanach a partner in the Intellectual Property and Food and Beverage groups at Gordon Rees Scully Mansukhani. Mike is also a practice group leader for the Beer, Wine, and Spirits Law group and the Entertainment and Recreation practice group. Mike’s email is mkanach@grsm.com and his phone number is 415-875-3211. 1 “Number of Breweries, Historical U.S. Brewery Count,” Brewers Association, https://www.brewersassociation.org/statistics/number-of-breweries/ (as of November 19, 2018). 30 Allagash is a town and river in northern border of Maine, 5.5 hours away and 341 miles away from the Allagash Brewery location in Portland, ME. According to the International Trademark Association (“INTA”), “whether a debtor-licensor can terminate a trademark license by rejection, thereby ‘taking back’ trademark rights it has licensed and precluding its licensee from using the trademark” is “the most significant unresolved legal issue in trademark licensing.” It likely will not stay unresolved for much longer; on October 26, 2018, the United States Supreme Court granted a petition for certiorari to resolve this specific issue as part of the Mission Product Holdings Inc. v. Tempnology LLC case. Tempnology is a New Hampshire-based company that developed chemical-free cooling fabrics. It used this fabric to produce clothing that were designed to remain cool during exercise. Tempnology and Mission entered into a distribution agreement in November of 2012 that gave Mission the non-exclusive right to sell certain patented and trademarked Tempnology products throughout the world and the exclusive right to sell some of those products within the United States. After a complex factual and procedural history, Tempnology filed for Chapter 11 bankruptcy in September 2015. The day after the filing, Tempnology moved to reject the agreement under 11 U.S.C. §365(a). After two appeals, a split First Circuit panel held that Tempnology’s rejection terminated the trademark rights licensed to Mission under the agreement. As explained by the majority in the First Circuit decision, after a debtor-licensor files for Chapter 11 bankruptcy, it may secure court approval to “reject” any executory contract so that the other party to the contract is “left with a damages claim for breach, but not the ability to compel further performance.” Mission Prod. Holdings, Inc. v. Tempnology, LLC (In re Tempnology, LLC), 879 F.3d 389, 404 (1st Cir. 2018). “When the rejected contract, however, is one ‘under which the debtor is a licensor of a right to intellectual property,’ the licensee may elect to ‘retain its rights . . . to such intellectual property,’ thereby continuing the debtor’s duty to license the intellectual property.” The problem begins, however, with the fact that Congress left trademarks off the definitional list of intellectual properties in 11 U.S.C. §101(35A). The First Circuit found that it made sense for Congress to have excluded trademarks. After all, “the effective licensing of a trademark requires that the trademark owner—here the debtor, followed by any purchaser of its assets—monitor and exercise control over the quality of the goods sold to the public under cover of the trademark.” Should the licensor fail to exercise reasonable control, that could result in the abandonment of its trademarks. Thus, the First Circuit reasoned that should Mission be allowed to continue to use Tempnology’s trademarks, that would force Tempnology to choose between performing executory obligations in monitoring and controlling the quality of goods or risk losing its trademarks and diminishing their value to Tempnology. The loss of the contractual licensing value to Mission should instead be compensated via damages. Tempnology, on the other hand, sought to distinguish its case from that of Sunbeam’s. Sunbeam involved a “short term transitional license for sale of a finished product,” whereas the Tempnology-Misson agreement was a complex joint venture/joint marketing and distribution arrangement with a two-year wind-period that would require post-rejection interaction between the parties to ensure maintenance of quality control. Regardless of how the Supreme Court eventually rules, having this issue settled will at least provide clarity for trademark licensors and licensees in the event of bankruptcy. We will report on the high court’s final decision. About the author: Benni Amato is a partner in Gordon Rees Scully Mansukhani’s Intellectual Property Practice Group. Her practice focuses on litigation matters involving trademarks, copyright, trade secrets, patents, internet issues, cybersecurity, and contractual disputes, as well as domain name arbitrations and trademark and copyright prosecution and licensing. Ms. Amato’s biography can be found here. In WesternGeco LLC v. Ion Geophysical Corp, 585 U. S. ____ (2018), the Supreme Court weighed in again on patent matters, ruling that lost profits may be awarded for patent infringement under 35 U.S.C. §284 based on contracts outside of the U.S. While U.S. federal laws and U.S. Patents are generally presumed to apply to U.S. territories, the Court in WesternGeco found that lost profits are recoverable for infringement resulting from a U.S. activity of shipping infringing components of a patent invention overseas. The decision marks a broadening of potential damages available to patent owners for infringement. The case arose from a patent infringement suit initiated by WesternGeco1 asserting its patents directed to technology for ocean floor surveying. WesternGeco claimed to be the only surveyor using its patented lateral-steering technology. In 2007, ION Geophysical Corporation began manufacturing components in the U.S. for a similar competing system and then shipping the components abroad to create surveying systems that were indistinguishable from WesternGeco’s. At trial, WesternGeco proved it lost 10 surveying contracts due to ION’s infringement. WesternGeco was awarded damages of $12.5 million in royalties and $93.4 million in lost profits. On appeal, the Court of Appeals for the Federal Circuit reversed the award of lost-profits damages. This decision was appealed to the Supreme Court and after bouncing back to the Federal Circuit, the Court granted certiorari to determine the scope of the extraterritorial application of 35 U.S.C. §271(f). In its decision, the Court discussed the two-step framework for deciding questions of extraterritoriality of U.S. statutes. The Court concluded that conduct relevant to the statutory focus is domestic. The Court proceeded to discuss §284 regarding damages remedies and the statutory framework for infringement under §271(f). In brief, the Court concluded that exporting components from the U.S. was a domestic act of infringement under §271(f)(2). The Court also distinguished the current case from damages claims that are based entirely on injury suffered abroad.2 The decision was authored by Justice Thomas and joined by a majority of the Court (7-2). Justice Gorsuch authored a dissenting opinion joined by Justice Breyer arguing that the Court’s decision improperly extends the reaches of patent infringement. Practitioners will surely cite WesternGeco as a basis for broadening damages claims and, in particular, claims for lost profits when there are international sales and contracts. In patent cases, lost profits awards can often surpass the amounts of a reasonable royalty. While it remains to be seen whether this case will dramatically broaden damages awards, it is likely that WesternGeco will be limited to cases with similar factual scenarios to support enhanced damages. The Court noted the nearly indistinguishable nature of the infringing products and the limited developers of the technology. A copy of the Court’s opinion can be found here. About the author: John Teresinski is a registered patent attorney and a member of Gordon Rees Scully Mansukhani’s Intellectual Property Practice Group. His practice focuses on IP portfolio management, utility and design patent procurement, non-infringement and invalidity analyses, post grant proceedings, patent enforcement, and defense of matters for technology clients, with an emphasis on electrical and electromechanical, user experience, semiconductor, wireless communication, and display technologies in the computer and hardware industries. 1 WesternGeco is a subsidiary of Schlumberger NV, the world’s largest oilfield services provider. 2 Citing RJR Nabisco, Inc., v. European Community, 579 U.S. ___,___ (2016) (Slip op., at 9). Managing a patent portfolio often includes payment of maintenance fees to keep patent rights in force. While patent owners are accustomed to the fee based system, the new practice can result in a significant increase in fees to maintain multiple reissue patents. In addition, patent owners may have an opportunity to recoup fees paid to the US Patent and Trademark Office (USPTO). Recognizing certain fees can assist with planning and portfolio management. The USPTO recently issued a new practice and guidance for maintenance fees with respect to multiple reissue patents.1 2 Maintenance fees are costs associated with maintaining a patent after the patent is granted and are due for the 3rd, 7th, and 11th anniversaries of the patent grant. Failure to pay the requisite maintenance fee can lead to loss of patent rights. Managing the timing of maintenance fee payments can avoid surcharges associated with the maintenance fees. The following is an outline of how to identify which matters the new practice applies to, how to comply with the new practice, and an exemplary scenario. Effective January 16, 2018, each utility reissued patent requires its own maintenance fees. This new practice replaces the former practice of only requiring payment of one maintenance fee in the latest reissue patent. Patent owners may have to budget additional funds for maintaining any multiple reissue patents. What is a multiple-reissue patent? A reissue patent is a patent grant that is issued to correct an error in an earlier patent grant. In some cases, multiple reissue patents are granted. Prior to the new practice, patent owners were only required to pay maintenance fees in the latest reissue patent for a multiple reissue patent family. The USPTO may reissue a single original patent as multiple reissued patents (35 USC 251(b), 37 CFR 1.77). Maintenance fees are paid in windows, either 6 months before a due date, or six months following the due date. Payments in the 6-month window following a dude date require payment of a surcharge. The due dates for each window are three years and six months (3 ½ years), seven years and six months (7 ½ years), and eleven years and six months (11 ½ years), with the due dates calculated from the original patent date. In the current fee schedule, the 3rd, 7th, and 11th anniversary fees are $1,600, $3,600 and $7,400, respectively. What about payments made prior to January 16, 2018? The new practice applies to payments made for maintenance fees on or after January 16, 2018 even if prepaid. For reissue matters that may have already been paid, check payments made from July 17, 2017 to January 15, 2018 (for multiple reissue matters). If a payment has been made, a separate maintenance fee may be required in any earlier reissued patent(s) and original patent if there is a pending reissue application. Payments Made in Original Patent? The new practice changes the procedure for original patents that are the basis for reissue patents and the basis for reissued applications. Maintenance fees remain due in the original patent whenever an application for reissue of the original patent is pending on the maintenance fee due date. Payments Made for Reissue Application about to Issue? Maintenance fee must be paid for the original patent to maintain the last reissued patent even when the reissue patent is expected to issue within the grace period. For a 7 ½ year maintenance fee due date is Feb. 27, 2018, the new practice applies. In the scenario below, two reissue patents and one pending reissue application exist due to a previous reissue application. As a result, Maintenance fees for the 7 ½ year payment (e.g., $3,600 per reissue/pending reissue) must be made in both reissue patents and the original patent. While the surcharge fee of $160 based on the current fee scale is a fraction of some of the maintenance fees, Patent owners can request a refund of the surcharge under 37 CFR 1.20(h) for payments made from January 17, 2018 to July 16, 2018. As mentioned above, the surcharge cannot be waived at the time of payment. Refund requests must be made by January 16, 2019. About the author: Kimberley Chen Nobles is a partner in Gordon Rees Scully Mansukhani’s Intellectual Property practice group. She focuses her practice on representation of technology companies worldwide in transactional and litigation matters involving patents, trademarks, copyrights, and trade secrets. Ms. Nobles’ biography can be found here. According to The Brewers Association, there were more than 6,000 breweries operating in the United States in 2017.9 But, of course, not all breweries have the budget to spend on a television advertising spot during the Super Bowl, so craft breweries often have to come up with creative ways to get noticed. One way breweries have worked to obtain a local following is to support their local teams, professional and collegiate, especially during the football season. 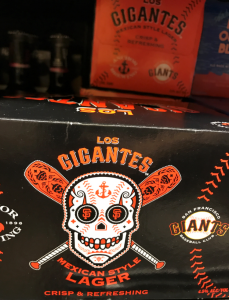 Sometimes, in this fandom, breweries (inadvertently) cross over the line into using their favorite team’s intellectual property without approval. The following four stories from the 2017 college football season provide trademark and branding lessons for craft breweries who want to use trending themes, viral stories, names, and images from their local institutions – to sell beer. As the images and stories below demonstrate, trademarks are not simply names, logos, and slogans. A trademark can be anything that indicates the source of a product or service. As these packages show, a trademark can be a color scheme, distinctive font, single letter, image (e.g., a train or a famous building on campus), trending hashtag, viral event, and even the design of a special necklace. The main lesson you can learn from these stories about craft breweries using others’ trademarks is to obtain prior written approval from the trademark owner. 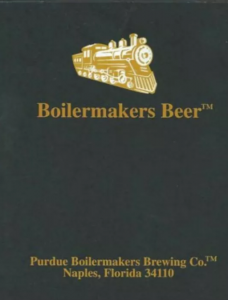 The Trustees of Purdue University own several federally registered trademarks, including “Purdue,” “Boilermakers,”13 and various images of trains or locomotives.14 One such registered trademark for BOILERMAKERS claims a first use in commerce at least as early as in 1959, decades before Sports Beer Brewing Company filed an application to register the trademark with the state of Indiana in 2016.15 The Trustees of Purdue University filed a lawsuit in Tippecanoe County, Indiana, to enforce their trademarks. 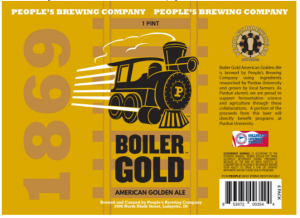 Purdue licenses its logos and trademarks to Peoples Brewing Company, located in Lafayette, Indiana, for labeling on a beer named “Boiler Gold.” Below left, is an image of the Boiler Gold beer can’s label,16 which contains authorized references to Purdue, a train, and the distinctive letter “P” and the school’s color scheme of “campus gold” and black.17 The infringer’s logo is shown below right, with the University’s name on a black background and underneath a gold and white-colored train. … enjoined to immediately discontinue using or offering or licensing the terms “Purdue”, “Boilermakers”, “Boilermakers Beer” and “Purdue Boilermakers Brewing” or any other marks which feature the words “Boilermakers” and/or “Purdue” for any commercial purpose. 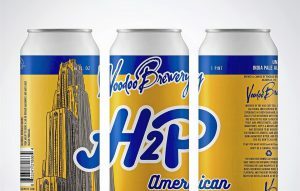 According to an October 2017 article in the Pittsburgh Post-Gazette, Voodoo Brewery’s brewmaster was a former Pitt student and involved in athletics, and the brewery believed it had the University’s approval because the brewery had previously sold these beers on campus.26 However, there was nothing in writing from the University approving the packaging, so the brewery was forced to cease and desist using the schools trademarked hashtag, distinctive name, images, and color scheme. 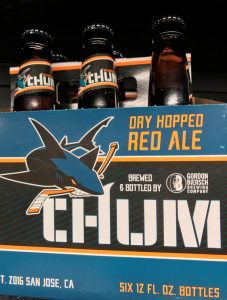 Like a viral hashtag, craft breweries tend to follow trending stories relating to their local teams and try to incorporate them into their beer names, labels, and designs. 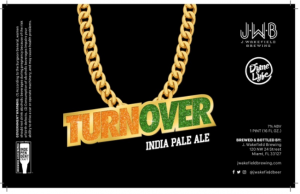 In 2017, J. Wakefield Brewing, in Miami, Florida, announced that it would brew a beer called “TURNOVER CHAIN” IPA.27 The “Turnover Chain” was a reference to the 2017 Miami Hurricanes’ football team’s over-sized, Cuban-linked, gold chain with a large “U” (for Miami University) in the school’s colors: orange and green. 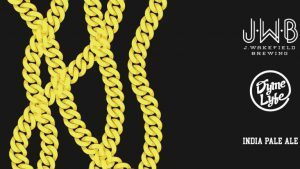 This chain is ceremoniously placed around a defensive player’s neck to wear on the sideline after forcing a turnover. An article on SouthFlorida.com’s website said that a former Miami Hurricane’s football player was on board and promoting the Miami-themed beer.30 In a separate Press Release in Brewbound, the brewery discussed how the founder and brewmaster Johnathan Wakefield was a big Miami Hurricane’s fan and met with a former player. But the brewer’s status as a true fan was not enough. Neither was label approval from the government or concept approval from a former football player. The brewery did not have approval from the University. Ending on a high note, the 2017 college football season had a true feel-good-story based in Iowa. At the end of the first quarter, at each of the University of Iowa home football games, the entire stadium full of more than 60,000 fans would turn towards the new UI Stead Family Children’s Hospital that overlooked the field.32 The fans inside Kinnick Stadium would wave to the children and their families inside the hospital, who would wave back. If you have not seen it yet, watch a video.33 It’s powerful. While it may not be authorized by,36 sponsored by, or affiliated with the university,37 it is nice to see the donation being put to good use. It is not clear whether the brewery and the University or the hospital have been in contact regarding this beer name. This is a unique situation – but not because the brewery is making donations to the Children’s Hospital. For example, the outcome of the trademark disputes related to Purdue, Pitt, and Miami-branded craft beer would not have been different even if proceeds of sales were donated. Rather, it is a unique situation because it is not clear who owns “The Wave.” At this time, the University has not filed an application to register a trademark containing the word “Wave” for any goods and services. However, this new tradition of the “Wave” is likely to continue into next football season and it may become a clear indication of source for the University and/or the Children’s Hospital. You are the #1 fan of the #1 team. You registered a trademark with the State. You obtained a COLA label approval for your label. You have been using a name in your advertising for years. You donate money to the school. You got approval from alumni (not even from famous alumni). You have sold that beer at the school before. You filed an application to register a trademark with the USPTO. You are donating all proceeds of all sales. In conclusion, get approval from the owner of the trademark. Get it in writing. 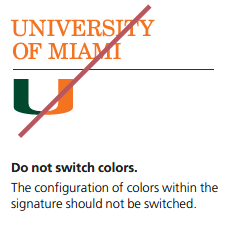 And then make sure you comply with the university’s branding requirements.If you do not have approval, check the branding requirements to familiarize yourself with the school’s brand so you can make sure you do not step over the line. While each of the examples discussed above relate to universities, these lessons apply to the major leagues as well. For example, Boulevard Brewing was one of the first breweries to work with a Major League Baseball team when it became the official craft beer sponsor of the Kansas City Royals.38 39 In the San Francisco Bay Area, San Francisco’s Anchor Brewing partnered with both MLB’s San Francisco Giants (“Los Gigantes” Mexican Style Lager) and the NBA’s Golden State Warriors – using team logos and color schemes in their packaging.40 41 In addition, San Jose’s Gordon Biersch partnered with the NHL’s San Jose Sharks by creating a special “Chum” red dry hopped ale in team colors and including the team logo.42 These examples of official sponsorships and authorized uses of trademarks include official announcements and press releases. Michael Kanach is a Partner in the firm’s Intellectual Property and Food & Beverage practice groups, and a frequent speaker and writer on craft beer trademark law. For more information about Gordon Rees Scully Mansukhani LLP’s Intellectual Property Practice Group, including the firm’s specialization in the craft beer industry, please visit www.grsm.com/practices/food-beverage/craft-breweries and https://www.gordonrees.com/practices/intellectual-property. Mr. Kanach is also a member of the firm’s Entertainment, Fashion, Media & Sports practice group. For more information, please visit https://www.gordonrees.com/practices/entertainment-media-sports. 13 U.S. Trademark Registration No. 4497301. 14 U.S. Trademark Registration Nos. 2023046 and 2023047. 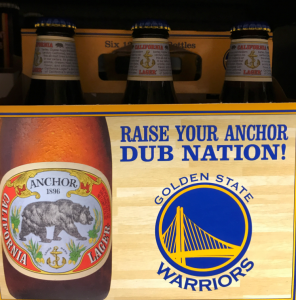 18 http://www.sportsbeerbrewing.com/claim-your-brand-.html (last viewed on January 29, 2018). 21 PITT (in script lettering) for football helmets (U.S. Trademark Registration No. 4960354). 22 PITT (in script lettering) for numerous goods, including shot glasses, drinking glasses, and miniature toy helmets (U.S. Trademark Registration No. 4960171). 23 http://www.post-gazette.com/sports/Pitt/2017/06/27/Pitt-colors-change-royal-blue-and-yellow/stories/201706270143 “Will Pitt change its colors back to royal blue and yellow?” Pittsburgh Post-Gazette Kevin Stankiewicz, June 27, 2017. 25 PITT (in script lettering) for football helmets claims to have a first use in commerce at least as early as 1973 (U.S. Trademark Registration No. 4960354). Intellectual Property (“IP”) assets are important in several types of business transactions, including healthcare business transactions. This article provides an overview of how one can best protect, transfer, and preserve IP rights pursuant to such a transaction. Healthcare IP is a broad area. Among other things, it includes the IP of large institutions such as university medical centers conducting clinical trials, and pharmaceutical and biotechnology companies conducting drug research. It also includes the IP of smaller entities, such as physician practices making discoveries or creating new clinical devices or developing novel procedures and techniques. Healthcare IP can come in the form of patents, trademarks, copyrights, and even trade secrets. A research medical school may possess a process or method patent on a new procedure, while a pharmaceutical company may possess a product or formulation patent on a new drug. Hospitals, large ambulatory surgery centers, and even many solo physician practices may have registered trademarks on their logos, marks, and advertising. Healthcare providers and entities also may have copyright protections on their publications, protocols, and policies and procedures. Some jurisdictions have also extended IP rights to items such as patient lists under the umbrella of trade secrets. Other assets that share similarities with healthcare IP include “doing business as” (“DBA”) or assumed name filings, web domains, and even business insider knowledge and relationships. When do you start the process of evaluating Healthcare IP? When engaging a target healthcare company for merger or acquisition, healthcare IP should be a topic in early business negotiations and be an item in the first due diligence checklist submitted to the seller. From the buyer’s perspective, it is important to have an early handle on what IP is involved in a transaction so that the proper steps are taken to make sure it is adequately preserved and protected in the transaction. From the seller’s perspective, it is important to disclose IP and the actual rights to it so that it is clear what the buyer is buying, and also that the seller indeed possesses the rights to it in order to sell. If the buyer utilizes IP in good faith that the seller in fact did not possess, the seller could ultimately be liable via indemnification if this was not properly disclosed. Where do you describe and list Healthcare IP? Healthcare IP should be listed in a comprehensive and straightforward manner in the disclosure schedules to the purchase agreement. Care should also be taken to describe the IP fully and properly in any necessary assignment agreements, registration updates, and in any other required places. Why is Healthcare IP important? Healthcare IP is important for numerous reasons. For several entities, such as universities or pharmaceutical companies, it can represent millions, if not billions, of dollars in investment and research and development. For other smaller entities, in the instance of a trade secret, it may not necessarily represent the same kind of capital investment but it may very well still be critical to the survival of that business. Regardless of scale, it is important to maintain and also to transfer IP properly. If not secured properly, IP may be lost. For example, if a buyer does not know about acquired IP, it will not know to file regular maintenance fees and could risk cancellation of the IP. Conversely, if a buyer thinks it owns IP that it actually does not, it may end up violating another entity’s IP rights through use without knowing it. A cease and desist letter accompanied by a demand for unpaid royalties may quickly follow. How do you secure Healthcare IP? The best way to secure healthcare IP is to first identify the IP. As mentioned above, care should be taken to comprehensively list IP in an asset purchase agreement. In the case of a stock purchase, it is critical to ensure that the corporate entity selling its stock actually is the invention owner or assignee of record, etc., that possesses the right to transfer the IP. Then, proper steps should be taken to commemorate and transfer the IP through the deal documents and any necessary assignment agreements. Concurrently, proper notices and updates should be made to the various relevant governmental entities such as the U.S. Patent and Trademark Office, the U.S. Copyright Office, and state-level agencies such as the secretaries of state, and trademark offices, as required. Healthcare IP is an important piece of healthcare transactions. For some businesses, it may represent the raison d’être for the business; for example, a big pharma spinoff whose one product is a therapeutic HIV drug. For other companies, healthcare IP could be less mission-critical. In both circumstances, however, IP is likely a valuable component of a company’s assets and should therefore be given due thought and consideration in a transaction. Justin Puleo is an associate attorney in the Raleigh office of Gordon Rees Scully Mansukhani, and a member of the firm’s Intellectual Property and Healthcare practice groups. He has an interdisciplinary background, which he has leveraged into a full and diverse practice. He is an experienced healthcare transactional attorney and a member of the patent bar who appreciates finding creative and regulatory compliant solutions to business concerns and initiatives. He can be reached at (984) 242-1790 or jpuleo@grsm.com.